An infopreneur is an entrepreneur who sells information, or teaches online. And right now is the perfect time to do this - if you can work out what type of Infopreneur you are best suited to be. Because most ‘experts’ teaching online today are surprisingly bad, and produce experiences which fail the majority of their customers. Let me explain why this is a huge opportunity for you .. Most Infopreneurs practising today don’t understand how to communicate what they know effectively. Proof of this is evident in the typical completion rate of most online learning products .. a meagre 10%. That’s over 90 people in every 100 who pay for a course, book, or webinar series - who don’t even finish what they start! It sounds crazy right?! .. and yet this kind of failure rate is considered ‘normal’ by most Infopreneurs. But it really doesn't need to be this way. Avoiding these levels of failure depends on choosing the right method of communication to meet the needs of online learners. Because how you teach what you know matters. 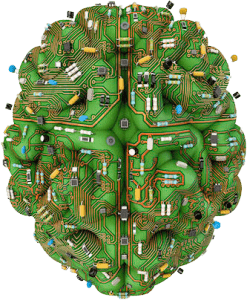 By the end of this post, you will have a clear idea of EXACTLY what type of Infopreneur you are best suited to become ..
You’ll also be able to select different strategies and tools, based on the type of learner and learning that you want to deliver online. And to make this super-easy, I have designed a tool I want to give you - which makes these important decisions a simple matter of answering a few questions. <-- to quickly go to the tool click this icon where you see it in this post. What is in the Online Teacher’s Toolbox? 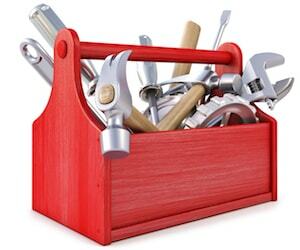 What is in the Infopreneurs' Toolbox? Classroom teachers select different strategies and approaches to deliver learning effectively. In order to succeed as an Infopreneur, you need to understand the range of strategies used in an online classroom. The different options open to an Infopreneur can be placed on a scale - from ‘low touch’ strategies - to ‘high touch’ ones (where 'touch' is the level of personal interaction the teacher has with the learner). When considering what kind of Infopreneur you want to become, or what mode of delivery is best suited to a particular task - this scale will help you. Because there is a big difference between teaching strategies at either end of this scale. Let me explain the key features of low touch Online Teaching strategies - before we get much more specific. Broad examples of 'low touch' teaching include courses, books and other learning, which is made available to online students - who independently navigate through them. Infopreneurs often choose ‘Low Touch’ delivery strategies because after creating content, they can deliver it automatically online - and aren’t required to be there with the learner live. 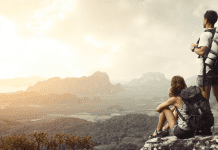 Because of this, ‘low-touch’ Infopreneurs have a greater degree of flexibility in their lifestyle and more choices about how they spend their time. What you gain in terms of time flexibility however, you often lose in terms of the relationship you build with learners. 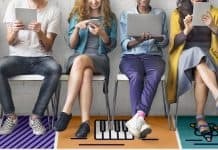 The more remote you are to them, the less chance you have of developing a long term connection - and this can limit the degree of loyalty that learners have to ‘Low Touch’ online teachers. A greater degree of independence and commitment is required from those learning from you - and these kinds of online learning products are often cheaper as a result. However, low touch approaches make it possible to increase by many times the numbers of students that you can teach at one time - potentially raising the profits an Infopreneur can make. Broad examples of 'high touch' strategies include live web classes, and one to one coaching sessions. High Touch Infopreneurs often choose to deliver learning live, reducing the time flexibility they have - as they are required to be there personally when learning takes place. High touch strategies are often used by Infopreneurs with complex objectives to achieve - or whose learners need a more individual approach. High touch online learning products are often sold at higher selling prices. They often require more of an Online Teachers time - as typically you will be able to teach lower numbers of students, with each one requiring more of your attention. These teaching strategies often get learners much more predictable results because of the personal support they offer. Questions and problems are easily identified and moved through, and learners feel more accountable for their progress too. High touch approaches also benefit from the Online Teachers ability to adapt to individual needs, and often ‘lessons’ can be created or improvised by the teacher in response to a question, or common misconception they discover. As a result, their students often develop a closer connection with their teachers - and will buy future products from them. What Type of Infopreneur do YOU Want to Become? Your choice of Online Teaching style affects the type of online classroom you deliver from, and the lifestyle you will have creating content and supporting learners progress. 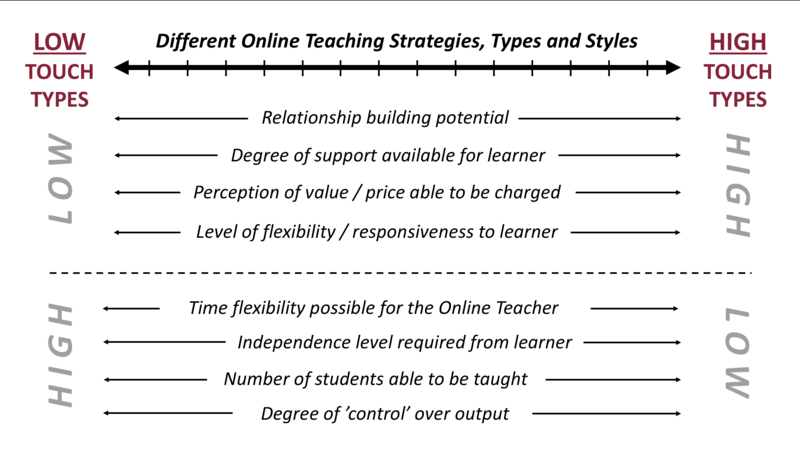 So what kind of learning environments - and what specific Online Teaching styles - are there to choose from between low and high touch ends of the spectrum? Let’s examine the main choices you have available, to help you start to ‘feel’ where you might naturally fit. <-- just click this icon to go directly to a tool designed to uncover the Infopreneur type you are best suited to, by answering 5 simple questions. Online Course Creators teach with recorded learning experiences (often created in software like Powerpoint), which walk their students through a process or technique, to get a defined result. Online courses are delivered in written, audio or video units - the best teachers offer a variety of ways to consume the same content. There are no limits on student numbers with this method of teaching, as once a course is available online an unlimited number of people can take it - with zero increase in Online Teacher time required. However, a high degree of independence is required of the learner - and as a result there are higher drop out rates in many Online Courses. This is where most Infopreneurs ply their trade, and most of the courses they create, are pretty one dimensional and boring to complete. With some imagination to create learning which holds the interest of online students .. you could make a highly impactful Online Course (particularly in comparison to the standard of most out there today). Doing so is the first step many experienced teachers make into Online Teaching, because they can deliver a course more easily alongside their existing job. Q. What Skills and Tech Knowledge do Online Course Creators Need? Most classroom teachers already have the most important skills necessary to produce Online Learning of this type, and YouTube is a wonderful source of free training for those with gaps in their technical skills. Online Course Creators need a knowledge of presentation (Powerpoint) type software, the ability to record their voice to narrate their slides - and often a screen recorder too .. depending on the subject they are delivering. A basic knowledge of video editing is useful here too - as the expected format for higher priced courses is video. While it is possible to create courses in written form, the perceived value of these is much lower and the price you can charge decreases markedly as a result. The learning experience you create also needs to be published somewhere students can access it online - and where your work is protected from those who haven’t paid for it. A wide variety of online platforms exist to help Online Course Creators do this from Teachable, Thinkific and Udemy, to self-hosted solutions based on WordPress (a great article outlining options in different price ranges is available here). Q. What is the time commitment required from an Online Course Creator? 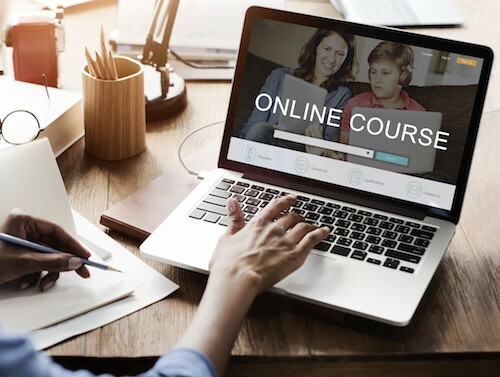 Online Courses can take anything from a few hours to a few months to create, but once published they can sell to many new students with zero additional time required from the Online Teacher. Online Course Creating Infopreneurs have a lot of flexibility in terms of when do this work, and can fit it around their current commitments. BEGINNERS TIP: Start with the Right Idea! 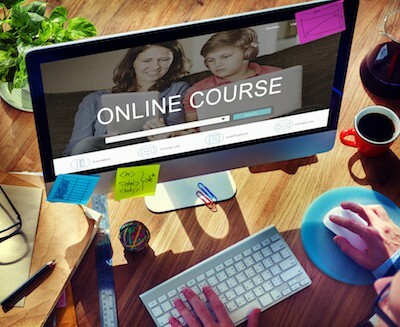 Online Courses exist on a huge variety of different subjects already - and standing out to potential customers can be difficult. This limits the sales potential of your course, and is something you want to avoid. It is important to begin with the right idea for your course - and to have a super-clear picture of who will buy it from you. I created an Online Teaching Start-up System, to help teachers identify commercially successful subjects to teach. Using this, you won’t end up wasting your time creating something which very few people want. 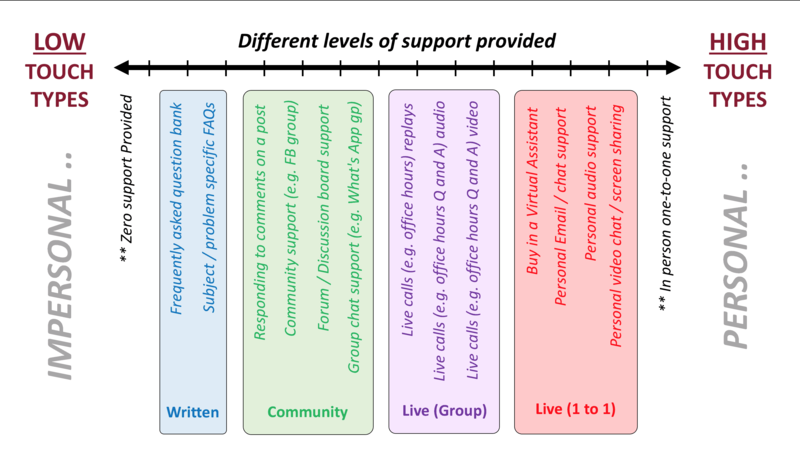 The level of support Course-Creating Online Teachers decide to offer to their students, often determines the success learners have with their products. Many Online Teachers try and plug the disadvantages of the Course Creating model with a method of support, designed to help the learner make progress and create better personal relationships. This could take the form of a Facebook Group, forum or group chat - where learners can post progress and ask questions. This approach to support has the advantage of creating a community around the course too, which adds greatly to it’s perceived value and usefulness to the learner. Some Course Creating Online Infopreneurs also provide support with live weekly drop in sessions, where questions can be answered and barriers to progress removed. This is often accomplished with webinar type software or telephone conference calls. Providing a level of support alongside an Online Course, increases the likelihood of learners achieving positive results. It also introduces a level of accountability which learners often find useful to make progress. An effective support element is an easy way to have happier customers - and a better business - without a big increase in the time required of the Online Teacher. Q. What Skills and Tech Knowledge do I need to provide support for my Online Course? The skills required are often associated with the type of support provided, and at the beginning it’s a good idea to work with what you already know. This doesn’t have to be rocket science .. simply providing an eMail address for learners to send through questions can be a very simple way to do this - requiring zero additional knowledge or skills. Setting up and running a Facebook Group is also straightforward (simple instructions to do this are available here). More technical solutions to providing support include using webinar software to go live with an ‘Office Hours’ type of Q and A class. Technical options that do this range from free options like Zoom and YouTube Live .. to paid alternatives like GoToWebinar, WebinarJam and (what I use) Demio. My strong advice to Online Course Creators is to invest time in a support system for your learners. Doing so develops MUCH better learner relationships, builds customer loyalty .. and gives you the opportunity to understand what customers really need from you. This knowledge can be used to enhance your course, or help you identify opportunities for future online learning products. A key decision many Course-Creating Online Infopreneurs have to make is whether to deliver their material all at once, or ‘drip it’ to learners over a period of time. This means that when a learner accesses their course, either everything will be immediately available to them and they can work through things at their own pace ..
..or, that module one might be available with future modules arriving at weekly intervals after that. The advantage of ‘dripping’ your content out over time, is that learners don’t feel overwhelmed with the journey ahead of them. This strategy also lends itself nicely to weekly support sessions which can be focused on specific things. The main disadvantage is that often online learners don’t have a regular amount of time each week to dedicate to learning - and when they do have time, they like to cram several modules in at once. I have delivered courses in ‘dripped’ and ‘immediate’ formats - and there is no magic formula which always works. You will have to choose between these options based on the needs of your learner - and the progress they are likely to make in each case. Q. What Skills and Tech Knowledge do I need to drip content over time? Often the tools you need to drip content out to your learners are built into the online course delivery platforms, or WordPress plugins already mentioned. But simpler solutions also exist - you can accomplish this with eMail. Sending mails each week with the next step required of your learner is easy. These emails can contain the links learners need to files you might have in OneDrive, Google Drive or similar file sharing services, or a link to a webpage you publish where the modules for this week are available for download. BEGINNERS TIP: Try not to overcomplicate things .. Particularly when you begin as an Infopreneur - what you TEACH is the important thing .. getting the tech to do exactly what you need it to, can wait until you have tested your content with learners live. Far too many Infopreneurs get bogged down with tech, when the simplest way to get the students a result is often the best option. It’s this result that matters far more to online learners than the way you go about delivering it. 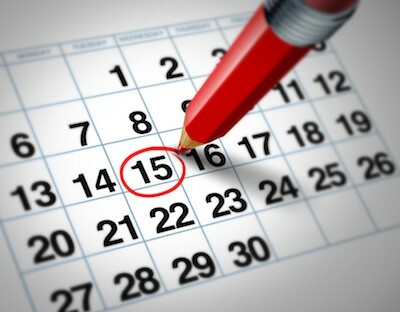 Some Infopreneurs choose to communicate what they know by writing it down in a book, report or written training course. This mode of learning is sometimes chosen by Online Teachers with little technological experience, or who are less comfortable in front of a camera or microphone. It's important to remember that there is a limit to what can be explained effectively in writing - and some skills and knowledge simply does not lend itself to being taught this way. However - when a learner sits down to read something, they are often in a highly receptive state where you can make a real impact on them. And this teaching style is sometimes preferred by learners over more complex video based learning. Q. 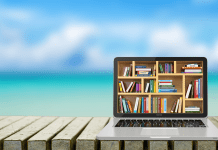 What Skills and Tech Knowledge do I need to Write and Publish my Own eBook or Written Course? Most people know already if they can write, or if they would struggle to create a book or written course. However, I would add that everyone alive is trained to TALK - and often non-fiction self help books are best written in this informal style. If you can type and think at the time time - and proof read your book or course, as if you were speaking to someone - I think you will find that you have much better written stills than you think. If you're publishing an eBook .epub files are required to submit them to an online store (.mobi if you're publishing with Amazon). Most online publishers have conversion software which enables you to take a word-processed document (created in software like MS Word) and convert it to epub or mobi format. Amazon’s Kindle Create software which does this is free here .. and most online bookstores have similar free software available (e.g. iBooks Author for Apple iBooks). Sigil is free epub creation software which is also easy to use. In terms of publishing your eBook to multiple platforms, I use a service called Draft to Digital which takes the epub file of a completed ebook and publishes this to a variety of different on-line bookstores. It is also possible to create physical copies of electronic books using services like BookBaby. If you're publishing a written course, you will want to use your word processing software to export this in PDF format, and distribute it by email - or using an online course platform like Teachable. 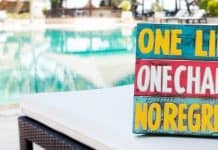 Writing a book is often perceived by the author to be a way to build a reputation - and this can be the case - if you can effectively make sales. What most authors underestimate, is the difficulty they will have getting noticed in a crowded online marketplace. Self publishing is easier now than it ever was .. and online bookstores are extremely busy places - this hits the potential sales of most books. The level of profit that most authors make is limited too - typically the selling price of a book is under $20. How many books would you need to sell to make a viable alternative income? .. Quite a few! As a result, most authors have a more in depth course, or coaching offer which their books exist to presell. The books which successful Author-type Infopreneurs publish, are often simply a way of reaching an audience in advance of offering a higher priced product or service. So don’t imagine that a book alone will change your life! 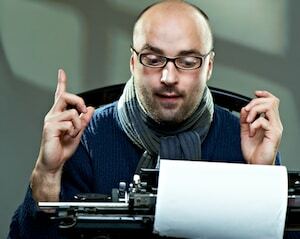 One way in which authors can increase the value of their written content, is by recording an audio version. 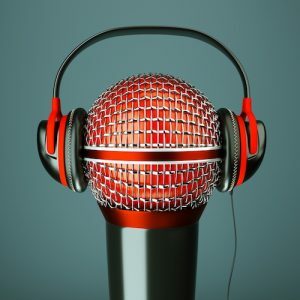 Audio training often justifies a higher selling price, and many authors use this as a way to bump up the profits they make - as online learners often like listening to their training on the way to work, or in a quiet moment at home. 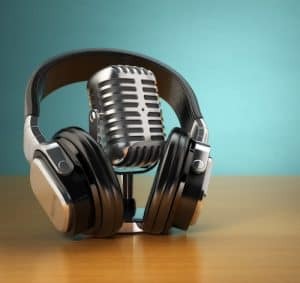 Recording an audio version of your book also gives you the chance to communicate your passion about the subject you teach .. which is a very effective way of creating a closer connection between you and your learner. Some learners prefer to learn this way, and it's usually a good idea to create audio versions of video training too, for this reason. Q. What Skills and Tech Knowledge do I need to Create my Own Audio Book or Course? Online learners are very sensitive to bad quality audio - and you will need to be careful about the quality of the recordings you make. The place you choose to make your recordings is important - as is the equipment you use to do it. This doesn't need to be expensive, but the best results will come from recording on a half decent microphone (e.g. the Blue Yeti) into software on a computer where you can edit it. Being able to edit your recordings is important, because most audio capture software allows these edits to be performed seamlessly - meaning that you only need to say one sentence well at a time! I have recorded lots of audio training, and been asked how I managed to do so flawlessly, many times ..
Secret: I never have, I just used freely available Audacity software to edit my best bits together! It is entirely possible that you don’t like the sound of your own recorded voice. Bear in mind that learners won’t hear what you do - and that your knowledge and passion is likely to shine through if you read it. But there are alternatives to doing your own recording .. Plenty of successful Infopreneurs release audio versions of their books or courses, narrated by other people. Possible narrators for your next project can be found on Fiverr, Upwork or Findaway Voices. Many Infopreneurs charge a higher price for live content, and then deliver it to a group of people to make best use of their time. This is often accomplished with webinar software - where many students can join a live class at once. The personality of the Infopreneur often shines through in these live sessions, and the learners really feel like they get to know their teacher. This can have big advantages when you offer future products and have built a good relationship with past students, who purchase from you again. Questions can be responded to individually, and the content can evolve in response to learners individual needs. And the perception of value is often high in these types of online classes, as students feel they are being helped individually. In almost all cases these classes are supported with some kind of community, where participants can network with each other - and because their learning happens live, this discussion is often hugely useful to learners. The progress each individual makes is often greater in Live classes than when similar information is learned from an Online Course or other 'lower touch' method of teaching. Often this is to do with the more personalised nature of 'higher touch' learning, and the accountability students feel being part of a live class. It is also possible that the higher investment required to participate, motivates learners who feel they have greater ‘skin in the game’. Q. What Skills and Tech Knowledge do I need to run a Live Group Webinar or Live Online Class? Material delivered in live classes is often created in presentation type software, which most classroom teachers are already familiar with. The personal skills you will need include the confidence and personality to go live to an online class. After getting comfortable with the technology involved, this comes easily to most classroom teachers who are used to 'performing' live. Additional technical knowledge required concerns the webinar software itself, which is getting much simpler these days. It is a matter of becoming familiar with the platform you choose to go live with. Q. How much do they charge for access? Webinar platforms often charge monthly or yearly prices for access to their services, which you need to keep paying if you want to keep using them. This cost covers their investment in servers and support - and is a measure of their continued investment in their platform. Most often when webinar platforms charge a one off ‘lifetime’ fee, the longevity of their service - or the quality of that service, is questionable. Every webinar platform needs to maintain their access to reliable servers and develop their service offerings - and to imagine that this can happen without ongoing investment is unrealistic. Factor this into your decisions, if you come across tempting 'lifetime access' deals. Q. What is the quality of the video delivered? / how reliable is the tool? Video (and particularly audio) quality matters. The only way you will know the quality provided by the platform you are considering is by having testing before you go live to real students. However, a key factor in the quality of the stream you provide for students is the speed of your own internet connection. If you are going live using webinar software you need an Upload Speed of 5 - 15Mbps, and a wired connection to your computer to broadcast high quality content reliably. You can test your own upload speed here. Q. How big is your group going to be? Most platforms have a limit on the number of people you can teach in each price bracket they offer. If you know your group size is going to limited to a small number, you have the opportunity to save money and sign up for a cheaper plan. All platforms will happily upgrade your room size and charge you more as your business grows. Q. What facility is there to record your live classes? If you are charging a high price for teaching someone and they can't make the live class one week, you want to be able to offer them a replay. Often webinar software allows you to record live classes and send these recordings to participants who may have missed the live class or want to review the lesson. This is a key requirement of students learning from a live class, and some platforms make this difficult, or require you to use additional software to record live sessions yourself. Even if you think you don’t need this, I would plan this feature in for reasons I will explain later in this section. Q. How easy is the webinar software to use? Some webinar platforms are overcomplicated and difficult to set up and use. The only way you will know this is by signing up for a trial and trying to set up and then run a live class. The learning curve necessary to use the software you are testing - and the help available to help you do this - will quickly become obvious. The measure I use to judge this is the number of clicks needed to set up and run an online class - I use Demio for this reason, it's the easiest platform that I have used. Q. What sort of discussion do you want between students? Discussion and questions in a live class are provided for using a chat box, which learners can type comments or questions into. This works well to provide basic two way communication between teacher and their learners. Chat can usually be set to either appear only to you, or to be public so students can chat to each other too. Just as in a classroom, learners often learn a lot from each others questions - and public chat is often a good way to accomplish this. It is worth noting that some webinar platforms have a delay on the line between teacher and student .. meaning that when you say something, it can be a few seconds or a even up to a minute before a learner can hear it - which makes it difficult to ask and then respond to comments quickly. If this is going to be important in your delivery of a class, it is worth investigating and testing the delay on the line for students, and what impact this has on your delivery style. If you feel that text chat is a bit limiting, there are other options. Some platforms allow the Infopreneur to get students on camera or microphone live, to present their questions or discuss solutions. This can work really well to increase learners feeling of engagement and community. Supporting the live class with an online community (e.g. Facebook group) allows discussion to continue after the live class ... and is an excellent way to seed discussion topics, or ask learners to think about how what they have learned applies in different situations. Q. Which platforms allow you to try before you buy? I would not invest in anything until you have tried it out live. Often webinar software will offer a free trial period, or money back guarantee if the platform does not perform as you would expect. Take advantage of these offers to try a few different solutions - and then make a decision and run with it. Too many Infopreneurs get focused on the technology, when producing great learning is really what matters - consider your options, then just pick one and start to use it live. You will learn much more from this than any testing, or pre-purchase comparisons - and you can easily change the platform you use in future if you realise there is a better choice available. Q. What kind of support do platforms offer the Online Teacher? The level of support a platform offers to teachers is important - both in terms of onboard training to get you used to the software you are using, and to help and support you if things don't work as you expect. You can find this out from people already using the platform you are considering, and facebook is often a good place to go to to ask these kind of questions. Most platforms have a page, or a group where they support users. But there might be times when more personal support is provided, and the response time to questions emailed or placed in support chat boxes is important too. When making your platform choice, note what support is offered and test the response times yourself. Q. Do you require additional features? Some webinar platforms offer surveys and polls which you can ask live - with the ability to broadcast the results to the class. Most webinar software allows you to distribute handouts or accompanying resources in the class, as they are in the live classroom. As already mentioned, some automatically record replays and publish pages where these can be viewed without you having to do so yourself. And most allow you to send eMails before and after the sessions automatically too. Most also provide registration pages to sign learners up to the class, and some allow you to do this for a series of webinars at one time - without asking your customer to re-register every week. The integration options the platform offers with other services you use, might also be a consideration. Some platforms allow you to broadcast to a variety of places at once - Facebook live for example. Some platforms have whiteboard tools and the ability to highlight slides being shown - I like using these but use tools on my computer to accomplish this. While you are comparing platforms with each other, make a note of the differences in features and start to imagine how these would fit into your online classroom and teaching style. My Live Platform Recommendation .. Picking a live webinar platform is a very individual thing, and will depend on your teaching style, the content you want to deliver and other individual needs. There are many others, if you have a favourite please add a comment below. The ability to record live lessons allows you to build a bank of material over time which you can use in other Online Teaching products - e.g. in an Online Course. If you have already created the video in a live class, repurposing this into a lower priced online course is a simple thing to do - and requires little additional work from the Online Teacher. All the content you produce as an Infopreneur should be evergreen (remain relevant for a while to come) and reusable. A spin on the live class is a like-live class .. or a 'fake' live class. Many webinar platforms allow Infopreneurs to set lessons up which have been prerecorded and appear to be live - but aren’t. This is accomplished by uploading a video - or using a previously recorded live class - which plays as if it's live. This attempts to give the Infopreneur the advantages of higher touch delivery, without requiring the same level of time commitment. And if used honestly, this can be a good way to allow students flexible access to live material at a lower price. However, some unscrupulous teachers use this technology dishonestly and pretend that classes are live when they aren’t. Students are getting wise to this strategy and if they feel hoodwinked, will probably react badly. My advice - if you are using replays, be honest about it. Doing so will mean you can charge less for the material you deliver, have an unlimited number of students you can help at once - and retain the goodwill of those learning from you. Q. What Skills and Tech Knowledge do I need to Create a 'Like-Live' Class? Most webinar platforms (but not all) offer this feature - some for an additional price. Setting these up is often simple, and a matter of pointing the platform to the video you want to play to students. Most of the other settings will be similar to setting up a live class in the software. The ability to ask questions is valued by live learners, and if you are running a like-live class you will need to provide a way to provide for this. On some platforms you can choose to be behind the scenes, in the chat box while a recorded segment plays, on others the chat is disabled during like-live classes, and instead questions are emailed to the teacher - to be answered later on. An interesting spin on the live and like-live class types is the hybrid webinar, where a teacher will appear live to greet and welcome students, teach in a recorded segment - and then offer a live Q and A or discussion at the end. Delivering a hybrid type class can be a great way to get the advantages of being able to prepare resources in advance of the class - and remain able to adapt to learners needs too. Live classes delivered this way have the potential to deliver much more information to learners too, as while the recorded section is playing the teacher can be in the chat answering questions. Explaining that the recorded element has been pre-prepared is often appreciated by students who quickly get used to learning like this. From the Infopreneurs point of view, it becomes the best of both worlds - a real time connection to your learner - and the ability to prepare and deliver large sections in a more controlled (and editable!) environment before the class. Q. What Skills and Tech Knowledge do I need to Create a Hybrid Live Class? Most webinar software platforms have the ability to queue up a video and play it during a live performance. Doing so is usually straightforward and a matter of learning how to use the feature in the webinar software you choose to use. If you intend to run a busy class - or if you are expecting lots of questions - a hybrid class can be a good way to allow you to teach and help students at the same time. BEGINNERS TIP: Present your Live Classes with a Wingman! While live platforms do allow you to go live alone, doing so can require more of you as a teacher - and potentially takes you away from delivering quality content. 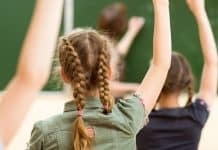 Sometimes learners have technical questions or issues which, while often easily solved, can be extremely distracting for the teacher if you are having to deal with these and run your class at the same time. It can also be distracting to see chat questions pop up as you are in mid-flow - in my experience doing the 'organisation' and presenting at the same time, does take practise. One solution is to partner up with someone and take the role of teacher, while they organise the chat and deal with questions or technical issues. This will allow you to concentrate solely on the learning being delivered, and can make the process less stressful too! An increasing number of services now allow a teacher to go live to students from their mobile devices (e.g. Facebook Live, YouTube Live and Periscope). Doing so gives you the chance to create a closer connection between you and your learners, and students are often very receptive to watching these shorter snippets of video. The nature of live streamed video means performances are more off the cuff and instinctive - and communicate personality really well. By sharing a piece of the REAL you in a totally live segment, you create the opportunity for people to connect with you in a big way. 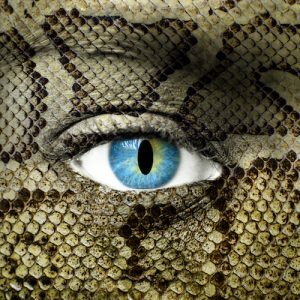 Most people broadcasting like this often don't realise how easy it is to go live from their computer webcam instead of their mobile device, and the advantages this gives them. Chief amongst these is to be able to share the content of their computer screen too - bringing with it the possibility of sharing PowerPoint slides, demonstrations or pre-recorded video. Q. What Skills and Tech Knowledge do I need to go Live from my Desktop on Facebook or YouTube Live? To go live from my desktop to YouTube or Facebook Live, I use a piece of software on my computer called eCam live. Using this simple software I can easily switch between my webcam, and any other program I have on my computer - as well as record live performances and add captions or lower thirds to my streamed content. A free - if less featured and less easy to use - alternative is OBS. The problem with live streaming is that you can’t control who watches your content as easily - and if you are delivering something which learners have paid for, you often can’t protect that content from being shared for free. One way of solving this problem is to go live in a group which only paid members have access to .. and it works, however if you are going live regularly, it is not a substitute for a more fully featured webinar platform. BeLive is a useful service which gives you more options when live streaming, allowing you to present with another person in split screen, or to share your screen too. BEGINNERS TIP: Most of your ‘live’ viewers will be watching the replay! 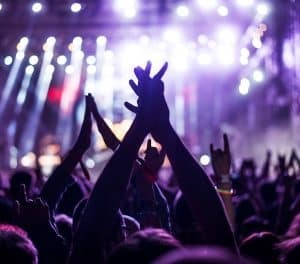 Most of your viewers on a streamed live performance will watch on the replay .. so don’t get disheartened if you only get a few people live with you. If you are going live, bear this in mind and talk to people as if they are there even if they aren't yet! Experimenting to discover the best time to go live for your learners or Facebook group is advisable - as is asking them what they prefer. Going live at a prescribed time regularly will increase the numbers of people watching live. Some Infopreneurs prefer to teach one-to-one, and use webinar-type platforms to deliver personal coaching sessions. These are often highly priced (several thousand dollars for a few sessions is not unusual). They require a lot of time from the teacher - and feature content and learning which is totally tailored to that individual. As a result, the progress made by students is often stellar - as it would be in the classroom if you only had one student in each class! Coaching that sells, often is highly focused on achieving a specific result for the learner. To make your coaching offer attractive to customers, it is worth nailing exactly what result students will get from working with you. Online learners invest in achieving a specific result - and talking this language in communicating your coaching offer is highly advisable. eMail coaching is the easiest to manage. The coach simply shares a personal eMail address with the learner, who emails them and gets delayed answers to questions they have. This allows the coach to research and prepare their answers, and is a non-threatening way into One-to-One Coaching for many classroom teachers. Infopreneurs who coach one-to-one, can also do so on audio calls using technology like Skype. Calls are free and are much like a phone call between teacher and learner. Some software (Skype for example) allows the teacher to share their computer screen with the learner at the same time, giving them additional options when explaining things. Audio coaching is highly valued by students and often is sold for high prices - reflecting the time commitment required from the coach - and the ability to ask questions and discuss solutions in real time. Q. What Skills and Tech Knowledge do I need to Coach people One-to-One Online? You will need knowledge of the software you are going to use to deliver the coaching. Skype is often used, and a working knowledge of how to connect with people, call them and share your computer screen is advisable. It is also a good idea to keep a file on each person you are teaching - and make notes as you are coaching them. Doing this will enable you to deliver the personal help that they are paying for. Most coaches provide recordings of their sessions which learners can review later - you can use screen recording software to do this - although I have found Ecamm's Call Recorder software to be more reliable. BEGINNERS TIP: Focus on the journey you want to take your learner on. As a new coach think about the journey you want to take people on, in advance of organising the calls. What 'stops' on this journey exist? (the points where students will recognise their own progress) .. what barriers to progress will your learners face? .. and what solutions could you guide them to, to get them over these? It's worth noting that often the role of the coach is misunderstood by those new to doing this. Your role as a coach is to ask questions which help the learner realise where they are going wrong - or what they need to do next. Too many beginners simply lecture their learners. If you find yourself talking in these sessions, ask yourself if there is a way to get the learner to realise what you have said by questioning instead. 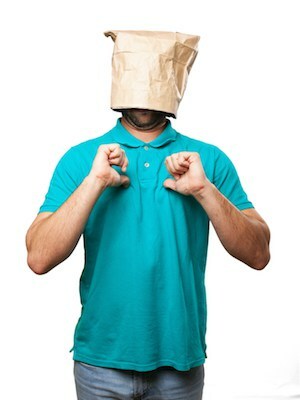 It might seem strange to mention face to face training in an article about Online Teaching. But there are significant benefits to Online Teachers providing a face-to-face element to their traditional online offerings. Getting online learners together in one place often has huge benefits, and helps them build bonds with each other which can be hugely valuable over the long term. If you check what facilities are available in your area, you might be surprised at how cheaply this can be accomplished - and it's a great way to take what you know and use it with online learners. And for those who want to deliver most of their training in live face-to-face sessions, you will also benefit from adding an online element into you offer. An online community can help trainees connect with each other after the sessions are finished, additional materials made available online can make reviews of learning and its application much easier .. and the ability of the internet to connect you to new potential students - is second to none! Q. 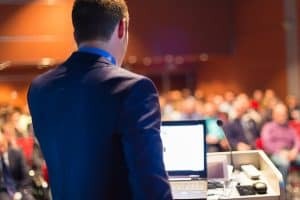 What Skills and Tech Knowledge do I need to be a Live Speaker or Trainer? 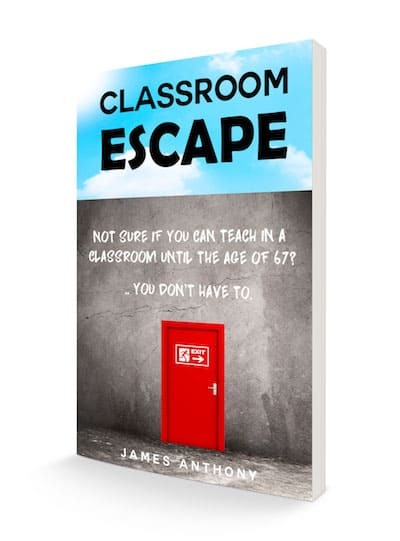 Most experienced teachers have many of the skills they need to deliver training to older learners in a traditional 'training room' environment. The difference for many teachers is the length of the sessions provided - as often face-to-face training courses are delivered over a day rather than a few hours. While older learners can keep focused more easily over longer periods of time, don't underestimate the need to inject changes of pace, variety and interactive segments into the experiences you design for them. In terms of tech skills - it is really hugely for face-to-face teachers to gain a knowledge of how to create online learning resources in PDF, audio or video formats. Adding a self-study element to a face-to-face course is a wonderful way of increasing its value to learners. The biggest challenge for many face-to-face trainers is getting bums on seats. Having an online presence and building a reputation by helping people online, can often have dramatic effects on the numbers wanting to sign up for face-to-face sessions. You are probably starting to develop an idea of what type of Infopreneur or Online Teacher you would prefer to become. One last thing worth considering is the approach which best suits your natural style - and your skills and experience. I have created a tool below which asks 5 simple questions about you - and then recommends an Online Teacher Type based on your answers. When you use this, I will send you a Start-Up Guide for that Online Teacher type - which details the skills you need to develop, the best tools and resources available, and EXACTLY what to do to make the best start. So take the quiz below - and find out what YOU are best suited to - based on your own personal situation .. It's the closest thing I can give you to a shortcut to establishing yourself as an Online Teacher - and is designed to give you the fast start you deserve.